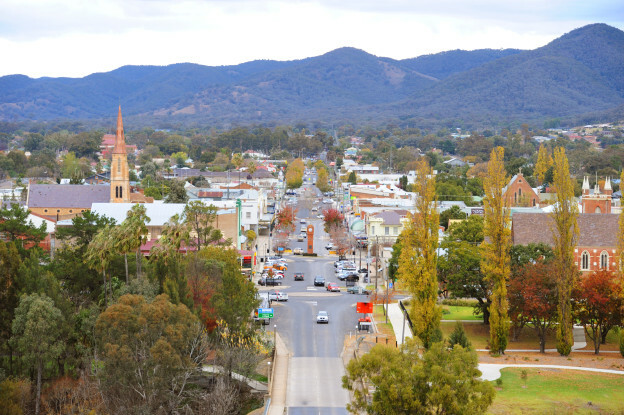 Mudgee’s lure to young families moving to this beautiful region has usually been its popular capital growth trio of “mines, wines and vines”. Our well-organised council plays a large part in this thriving town’s growth and success, planning infrastructure, schools, childcare, and medical facilities to attract new residents; and a major sporting arena to entice big events to our regional community. Mudgee has long been ticking all the right boxes for a high growth, high yield area. The town enjoys a diverse economy that is not reliant on one driver. While the mining activity is a bonus, the town does not totally rely on it to survive, with an established agriculture and wine industry, and a bustling tourism industry, growing stronger by the day.